Your home is a reflection of your personality and lifestyle. Therefore, it’s important to keep it neat and clean at all times. For maintaining a home, it’s necessary for homeowners to keep all visible and remote areas cleaned, especially your carpets. Unlike other furnishings in your homes, your carpet accumulates a lot of dust, dirt, and spills. Hence, it’s important to hire a professional carpet cleaning service. They’ll clean your carpets thoroughly and make them appears brand new. If you want to extend the life of your carpet, consider professional carpet cleaning in Chandler, AZ. You might not know but dirt, dust, and other forms of debris get entrenched within the fibers of your carpet, making them split. Therefore, removing the unwanted build-up becomes necessary for increasing the lifespan of the carpet. 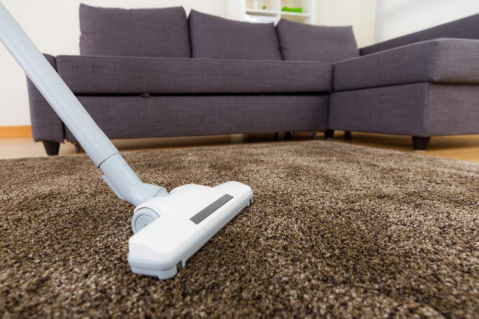 Professional carpet cleaners make use of cleaning methods such as hot water extraction which helps eliminate the accumulated debris in no time. Homeowners can remove the build-up by vacuuming the carpet on a daily basis. Trapped dust and dirt in the carpet tends to contaminate the surrounding air. This may cause health issues like respiratory problems and allergic reactions for you and your family. It is better to take safety precautions now than be sorry later. One of the safety measures to consider is considering carpet cleaning in Chandler, AZ. Professionals, using the hot water, eliminate all the allergens and debris that may be hiding behind the fibers of your carpet. Take this step if you want to protect your health. Every homeowner owns a vacuum cleaner. Unfortunately, vacuuming isn’t enough when it comes to getting rid of allergens. Often times, the dust creeps into hard-to-reach parts of the carpet. The dust is so deeply embedded that vacuuming has no effect. To achieve a higher level of hygiene, more advanced equipment is needed; equipment that homeowners normally don’t possess. But professionals do have all types of high-performance machinery that can help remove all kinds of debris in one go. All homeowners would agree that carpet cleaning is a hectic task. If you haven’t done carpet cleaning before, then the job could prove to be more difficult than you think. Compare your carpet cleaning skills with a professional one. Obviously, the professional will do a better job considering that he is well-skilled, more experienced and possess advanced equipment. A professional carpet cleaner would be able to do the job in half the time it’ll take you to do it on your own. To save your precious time, opt for professional carpet cleaning in Chandler, AZ. You will be benefitted with all of these advantages if you hire the best carpet cleaning service in Chandler, AZ. So, make the wise decision and call them now!